It’s definitely beach time here in St. Augustine, and St. Augustine Beach tops the list of places to visit for most this time of year. With its soft, sandy beaches, beautiful ocean views, and proximity to restaurants and shops, it’s no wonder that St. Augustine Beach continues to top lists for best beaches in the country. Whether you’re planning your first trip to St. Augustine Beach or have visited before, check out these tips for a great beach day! Parking can always be tricky during busy season at the beach, so it’s important to know your options of where is best to leave your car for the day. As with other parts of St. Augustine, there are public parking areas. 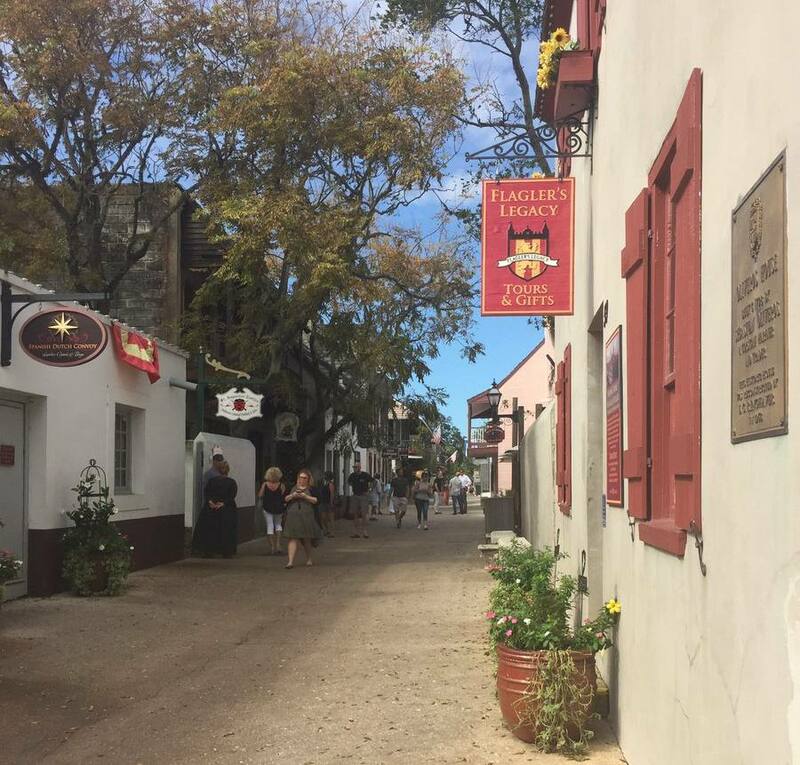 As with other parts of St. Augustine, there are public parking areas. Also, depending on the softness of the sand, visitors have the option of driving on the beach with beach access on A Street and Ocean Trace Road. 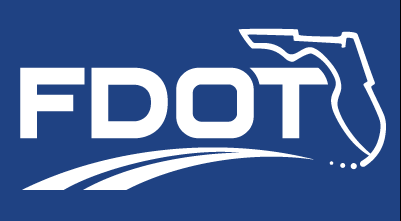 To stay up-to-date on current beach driving conditions and beach access locations and updates, get the Reach the Beach Mobile App. The beach is a place to relax and get away from it all, but it is extremely important to follow safety precautions as well. Florida is the Sunshine State for a reason – we get sun and lots of it. 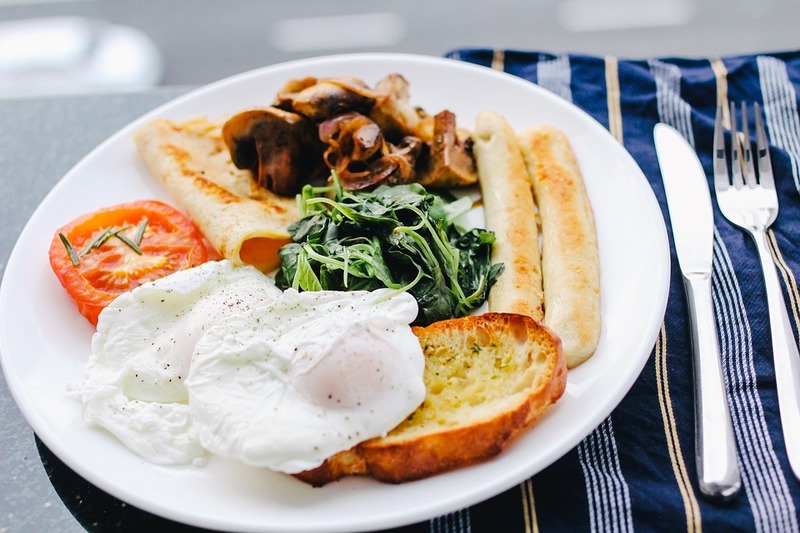 It’s essential to be careful of your sun intake during days at the beach. Apply plenty of sunscreen before you step outside and reapply as necessary, especially after swimming. Shield yourself by the use of an umbrella or protective clothing and hats. Be mindful of the time of day you’re outside. The sun’s rays are strongest between 10 a.m.-4 p.m.
Be sure you’re drinking plenty of water to stay hydrated. Unlike a swimming pool, ocean conditions are constantly changing. For an extra sense of safety in the ocean, swim near a lifeguard. Your safety is their top priority, so if they tell you to get out of the water for any reason, listen to them. And if you have any issues while swimming, get their attention by yelling and waving for help. 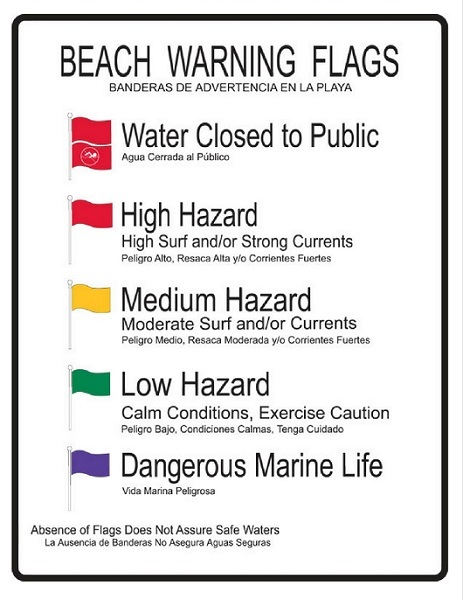 The beach warning flag system was created to inform the public of water conditions and minimize safety risks of beachgoers. It’s important to make note of the flag color when you arrive at the beach in order for the safest beach experience. – Be cautious at all times, especially when swimming at unguarded beaches. If in doubt, don’t go out! – Whenever possible, swim at a lifeguard-protected beach. – Obey all instructions and orders from lifeguards. – If caught in a rip current, remain calm to conserve energy and think clearly. – Don’t fight the current. Swim out of the current in a direction following the shoreline. When out of the current, swim towards shore. – If you are unable to swim out of the rip current, float or calmly tread water. When out of the current, swim towards shore. – If you are still unable to reach the shore, draw attention to yourself: face the shore, wave your arms, and yell for help. – If you see someone in trouble, get help from a lifeguard. 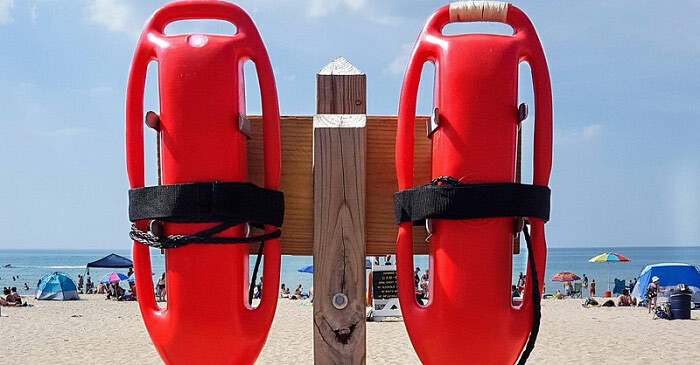 If a lifeguard is not available, have someone call 9-1-1 . 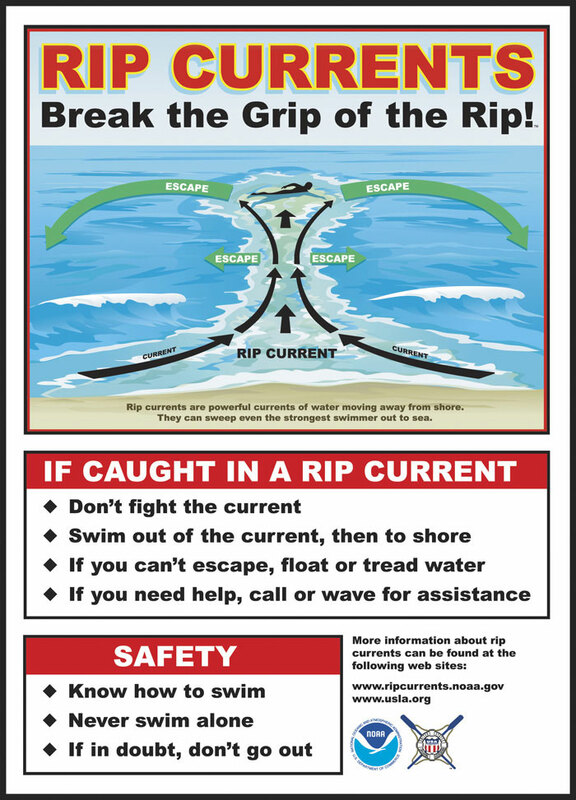 Throw the rip current victim something that floats and yell instructions on how to escape. Remember, many people drown while trying to save someone else from a rip current. While most of St. Augustine’s days are filled with sunshine, we do get the occasional rainstorm. As with any water activity, it’s best to keep an eye on the weather. Get out of the water if you hear thunder or see lightning. Lifeguards will also be watching the weather as well. It is advised to wait 30 minutes after the last sound of thunder before going back to the water. St. Augustine is known for being pet-friendly, and St. Augustine Beach is no exception! Feel free to bring you furry friends for a fun day in the sun, but make sure they are on a leash at all times and please clean up after them. – Make sure to keep your dog hydrated at all times. Provide fresh water and keep it cool. 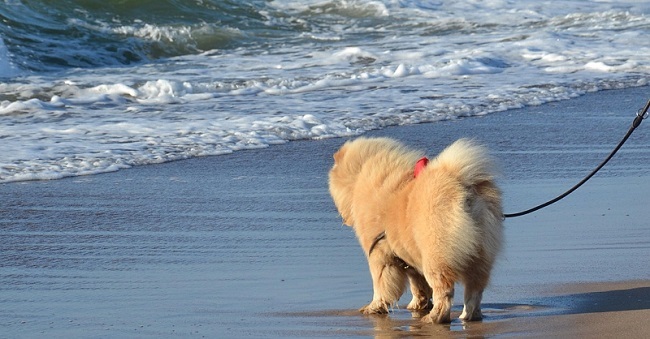 – Only let your pup in the water if you are certain they know how to swim. – Bring a towel for them to lay on as the sand can be extremely hot. – Be careful when approaching other dogs. – If you are at the beach for an extended period of time, bring an umbrella or some sort of shade for them to rest in. – Dogs can get sunburned, especially if they are short-haired or have light skin. There are sunscreens made especially for dogs. Some owners also put t-shirts over their dogs for sun protection. 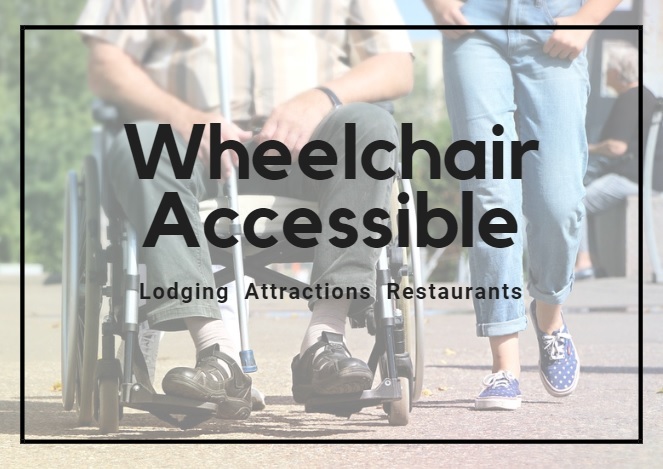 – For those needing handicap accommodations, beach wheelchairs are available at no charge on a first come first serve basis. The wheelchairs are provided by St. Johns County Beach Services. Reservations are required three days in advance for beach wheelchairs. To make a reservation, please contact Katie Martyn at (904) 209-0752.